At Alpine Building Maintenance & Supply, we know that a clean environment is a happy environment. We all want our homes and businesses to be kept clean and tidy but often lack the time to tend to such details ourselves. 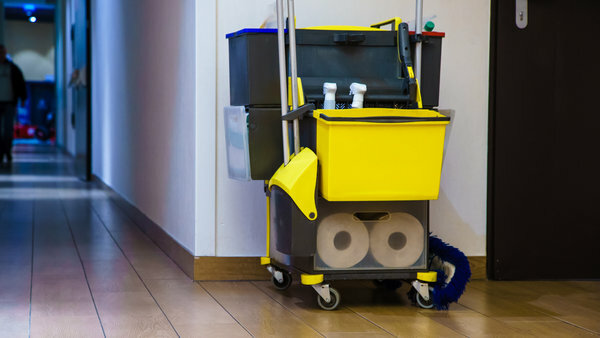 Hiring a professional cleaning company to handle the janitorial services for your commercial property is an important decision to consider because you want to be careful about which company you choose. Time is always of the essence, and we know that you don’t want to waste yours on anything less than the best! We recognize that our janitorial services reflect your image as a company. 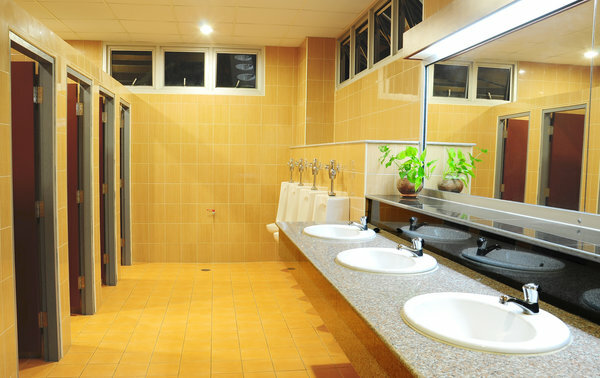 Our knowledge and experience ensure that the highest level of sanitation and cleaning standards are being adhered to on a continual basis, and that is precisely the kind of image that you want to maintain. We go beyond a typical, regimented cleaning checklist and offer services that are specifically tailored for your business. There is variability in the needs of every work environment, and that is why our specialized attention to your preferred details is a service that is hard to beat! Having been active in the cleaning business for forty years, Alpine knows very well what it takes to make a satisfied customer. We put each of our custodians through a series of detailed training, as well as placing them in continuing education classes at Alpine University. This mode of training ensures that each employee is staying current on the best way to clean your building and is dedicated to that same pursuit. We perform regularly scheduled inspections of your facility in order to make sure that our company is providing you with the most consistent and effective service possible. When it comes to the cleanliness of your building, we do not cut any corners. From disinfecting the filthy corners of the bathroom to emptying trash to making sure the windows are squeaky clean, we are committed to a thorough and detailed cleaning approach. Our team of managers is invested in every single customer that we serve, and we stretch ourselves to reach new heights that typical janitorial services would not cover. We want to make sure that the appearance of your building is everything that you desire for it to be, and we are available to you 24/7 to work out those details. Commitment to quality and to communication make a monumental difference when it comes to a working relationship with your company’s janitorial service. There should be no assumptions made but a steady list of expectations that are being met, even exceeded. Alpine Building Maintenance & Supply guarantees each of our customers that their lives will be made easier by choosing to work with our company, rather than adding yet another headache to their business affairs. We know that our many satisfied clients enjoy working with our company because we genuinely care about the work that we do and the polished appearance that we leave behind. Whether you need janitorial services for your medical facility, financial institution, car dealership, or other such business in the DFW area, we are the best choice for your cleaning needs! Call us today to learn more about all that we can do to maximize your customer’s experience as you welcome them into your doors.